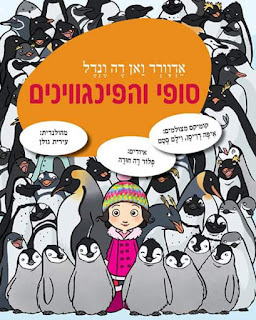 It came out just now: the Hebrew version of our book SOFIE AND THE PENGUINS (SOFIE EN DE PINGUÏNS). 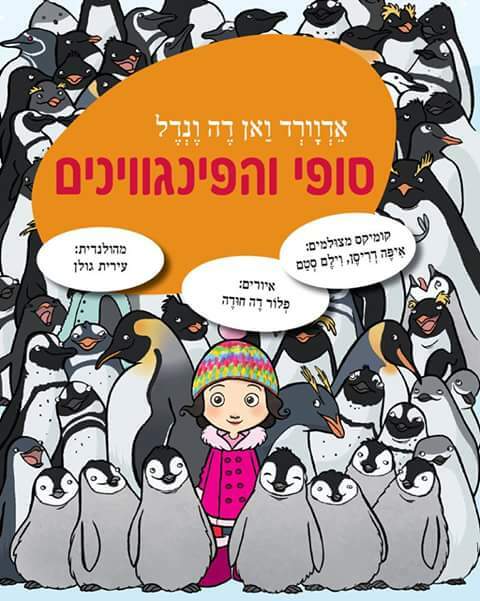 This is my first book in Israël and I'm happy that Rimonim Publishing noticed the book. Thanks! Also a big thank you to Irit Golan, who translated the book. SOFIE AND THE PENGUINS is illustrated by Floor de Goede and contains photocomics by Ype+Willem. The book originally was published by Querido, Amsterdam. The book is the first of a series of books that contain a story, illustrations, comics ánd non-fiction elements. The rights to this book were also sold to Italy (Il Castoro) and Estonia (Päike ja Pilv). It got children's jury prizes both in Holland and in Belgium.